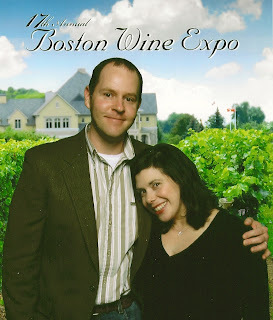 For Christmas, Deanna got me tickets to the Boston Wine Expo. Today was payoff day- and we had a great time hanging out together just the two of us. We had gracious babysitters lined up, and after a few moments of worrying about Sam and Will we were focused on enjoying our time together. We even took mass transit in from Wellesley for the first time- the "T" is what they call the subway here in Boston. The green line to the red line to the silver line- $2! What a deal. Food was unfortunately scarce at the show, mostly cheese and chocolate. Not that there's anything wrong with that, but we needed some food after guzzling wine for 2 hours! So we took the opportunity to visit a restaurant we'd been meaning to visit- Smith and Wollensky. Rather than take the plunge and drop $200 on dinner there, we wanted to sit at the bar and sample some smaller dishes. The food was so-so, but the service was phenomenal. From the moment we walked in until the moment we left we were treated exactly how I like to be treated at a restaurant. Unfortunately, I don't think we'll be back there any time soon- The Capital Grille remains my favorite steak house. 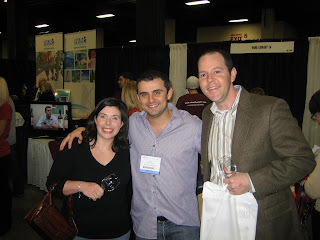 Update (1/27/2009): We also attended the 2009 Boston Wine Expo. Check out our impressions here.